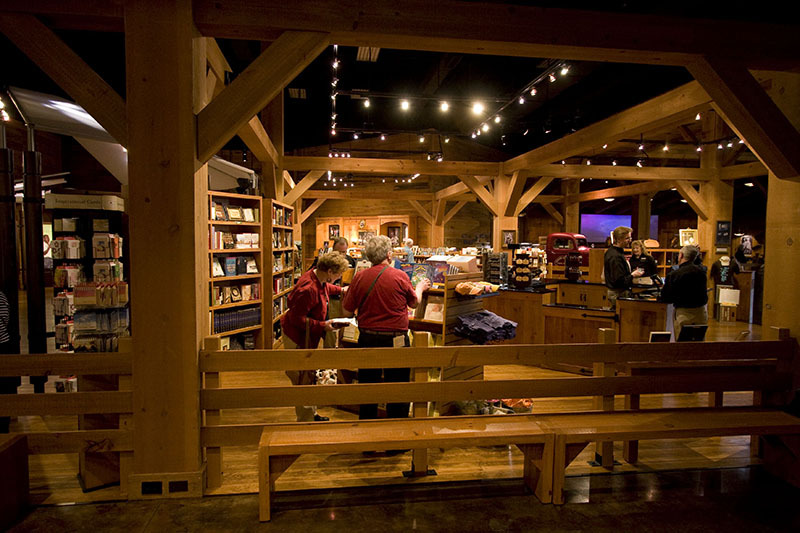 More than 1.1 million guests have visited the Billy Graham Library since its opening in 2007. 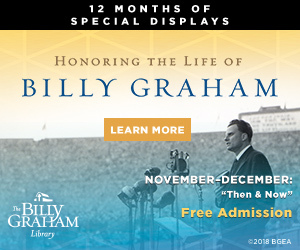 Today, we’re taking a look back at one of those stories of lives touched by God through through the life and ministry of Billy Graham. 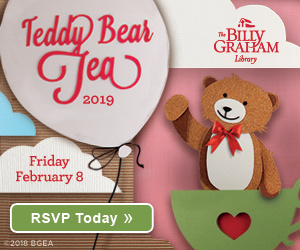 God moves in even the most unlikely places at the Billy Graham Library. Michael Robinson, a Ruth’s Attic bookstore staff member, watched as a young man searched through the shelves in the bookstore. The man paused to read a cover for a moment and then jumped to another book. When the young man came to check out, Michael smiled and engaged him in conversation. The man was silent for a moment and then asked Michael how people can know when Jesus has saved them. Michael answered by walking through the “Steps to Peace with God” booklet with the young man. Before Michael finished, the man prayed to receive Christ. The young man’s mother stood nearby the entire time, praying for him with her hands clasped. Afterwards, Michael declared, “Even in the bookstore, God is moving and drawing people to salvation. We have to be ready when the Father draws them to us in this wonderful place.” This story is just one of thousands like it. Book signings, birthday celebrations, or bookstore browsing: whatever is going on at the Library, God is busy reaching hearts and rewriting lives. 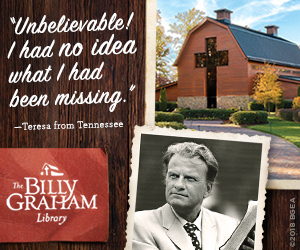 Billy Graham is the greatest blessing God has ever given to this nation. Praise be to our God for this salvation experience. 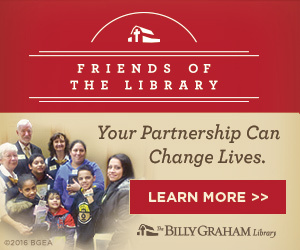 My husband and I visited the library a couple of years ago and it was a wonderful experience. Praise God! I like stories like this.